Pharmaceutical drug costs impinge heavily on consumers’ consciousness, often on a monthly basis, and have become such a stress on the public that they came up repeatedly among both major parties during the U.S. presidential campaign–and remain a bipartisan rallying cry. A good deal of the recent conference named Health Law Year in P/Review, at the Petrie-Flom Center for Health Law Policy, Biotechnology, and Bioethics at Harvard Law School, covered issues with a bearing on drug costs. It’s interesting to take the academic expertise from that conference–and combine it with a bit of common sense–to see which narratives about drug costs hold up. In defending the ever-growing cost of drugs, the pharmaceutical industry can’t roll out a single, intuitive explanation. Rather, their justification breaks down into many independent but interacting parts. We have to tease these apart before examining their validity. Maybe it is just the shock of being post Labor Day and realizing that summer is fading into the rear view mirror or maybe it was something I ate for breakfast that spurred new hope. But I think that this is the year that the patient centric approach to data in life sciences finally takes off. And along with that launch will come the massive rapid migration to cloud and data lake architectures for pharma data. Really? Why now you may ask? 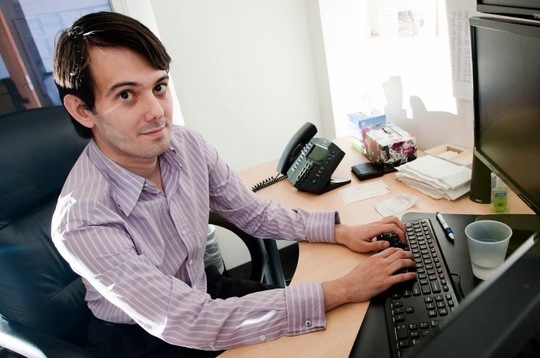 The Congressional committee that recently demanded Martin Shkreli’s appearance must have hoped to spotlight a smug jerk responsible for the outrageous prescription drug pricing that we’re all up against. Of course there are lots of Shkrelis running drug companies, but most are shrewder and less brash, and might not make for such good theater. Excessive treatment and cost are at the core of the entire U.S. healthcare crisis. The fact that other societies and a few innovative firms here consistently deliver equal or better quality care at dramatically lower cost betrays the idea that conventional U.S. healthcare is necessarily superior or even appropriate. Every part of healthcare is guilty, but the pharmaceutical sector is a case in point. An open record of lobbying spending and what pharma has obtained from Congress makes clear that its contributions have worked to that sector’s economic advantage and against the interests of American patients and purchasers. Toxoplasma gondii is a parasite that causes opportunistic infection in helpless people. It may have met its match. The cost of treating Toxoplasmosis, a rare but extant infection, just shot up exponentially. Drug-resistant strain, you ask? Have physicians in Infectious Disease gone mercenary, you wonder? No. A change in ownership. Daraprim (pyrimethamine) is a nifty drug which kills parasites. It’s been around for eons. I still recall its name from my medical school pharmacology exam. The price of Daraprim, whose production barely costs a dollar, may rise from $13.50 a pill to $750 a pill, after the rights to distribute the drug were acquired by Turing Pharmaceuticals. Why? The answer is best told by Michael Shkreli, the CEO of Turing, and former hedge fund manager. The reason why Shkreli has acquired a generic drug lying in a forgotten backwater, and raised the price of a magnitude more suited to the hyperinflation of the Weimar Republic, is to make profits. Lots of profit. If this answer seems inane, ask yourself why a former hedge fund manager would be interested in a rare disease of devastating consequences. Penitence is the wrong answer. The collision between the “volume-to-value” movement and the pharmaceutical and biotech industries over the next few years will have a powerful impact on them and on the healthcare industry and on us as customers, patients, and payers. On the one hand, pharma is perhaps the part of the healthcare industry least exposed to direct price regulation under the Obama reforms. The actual costs of pharmaceuticals have been rising as a percentage of what people spend on healthcare, and are seen as the part they have the least influence on. At the same time, many new drugs for cancer and other life-threatening diseases have come with astonishingly high price tags, often not fully covered by insurance (due to the high deductibles and co-pays of the new plans), and with few ways for regulators or the market to push back on them. The public perceives these huge price tags as threatening people with a Hobson’s choice of bankruptcy or death. In the volatile political atmosphere of the 2016 elections, this leaves the pharmaceutical industry highly exposed to political attack and actual new price regulation. On the other hand, the pharmaceutical and biotech industries also potentially offer some of the best answers to bringing the cost of healthcare down through the use of personalized medicines, smart medicines, new methods of administration such as implants, as well as the possibilities glimmering at us from recent research of real breakthroughs in such important chronic disease areas as Alzheimers, diabetes, addiction, behavioral medicine, and functional medicine. For the most part, though, these answers remain potential. We will not see them adding to the “value” side of the equation until they become fully integrated into a system that is at risk for the health of its customers and using every trick in the handbook to bring those costs in line. Spokesmen for the pharmaceutical industry point out that therapeutically similar drugs have advantages. First, physicians need some choice within a therapeutic class because some patients do not respond well to a given drug. This is true, but after about three choices, there is little evidence to justify a 4th , 5th, or 6th in a class.